Healthcare in Mexico is one of the most frequently questioned topics in Mexico concerning retirees that come to Mazatlán. 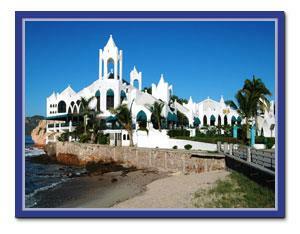 At first glance, you will find that Mazatlán is full of hospitals, clinics, and doctor’s offices. You can find walk-in medical clinics located in the tourist area and doctor’s offices located in some of the major hotels. There are three private hospitals that are fully equipped and staffed to handle most emergencies; Sharp Hospital, Clinica del Mar, and Divina Providencia. Others that are also equipped to deal with emergencies are The Hospital General in Colonia Juarez (a public hospital), the IMSS Hospital (Social Security), and the Cruz Roja (The Red Cross), although with these it is recommended that you call before arrival so they are prepared to receive you. In private hospitals they usually prepare a room with a day or trumble bed in case a family member wants to stay with the patient during hospitalizations. The general quality of medical care here in Mazatlán is good. Doctors have ample time to spend with their patients and most can be seen during office hours without prior appointments or the next day. Most doctors even make house call for about $500 pesos ($50 USD) if really needed. The best way to find a good doctor is by asking for referrals around town. Considering Mazatlán is somewhat of a small community, all doctors have direct acquaintances with specialists or colleagues, so referrals are fast, confident, and quite easy. Most importantly, you need not worry, most doctors are bilingual, for the rare that aren’t, it is recommended to take with you a good dictionary or a bilingual friend. If you are faced with a serious illness or the need for advance technology, Mazatlán may not have the medical services needed. Some examples include organ transplants, which are not common in Mexico, or cancer patients who require a regimen of chemotherapy or radiation therapy. Also, please keep in mind that psychiatric services in English are very limited. For more information of where in Mexico these services are offered feel free to contact me if needed. There are basically two choices when dealing with a higher level of care. Some Americans and Canadians opt to purchase medivac insurance which enables them to be air-transported to a medical facility north of the border, where language and insurance coverage is more predictable. For those covered by U.S. Medicare or the Canadian Health care program, the trip back north is the most logical choice. Others may have a practitioner here refer them to a specialist in Guadalajara or Mexico City, where they have all the tools and experience needed that Mazatlán may lack in those particular cases. 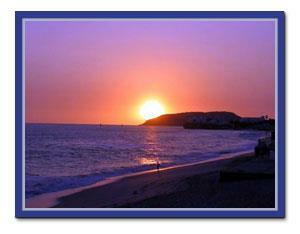 The cost of medical care in Mazatlán and in other parts of Mexico is quite reasonable. Usually an office visit to a specialist in Mazatlán costs $300- $400 pesos, the equivalent to $30- $40 USD, for such services as plastic surgery or dental work, Mexico is known to have great work for much cheaper prices when comparing it to the US or Canada. Private health insurance in Mexico is a relatively new concept. The most reliable and established company, ING Commercial America, has a variety of plans and corresponding rates to cover medical needs in Mazatlán, in all of Mexico, and Internationally. Unfortunately if you are over the age of 65 you aren’t eligible to initiate medical coverage with this company. Other private insurance companies such as GNP and Inbursa have similar age restrictions, some do not. Most private insurance companies have both deductible and co-pay amounts, and also use a rate table to determine the percentage or amount of medical services they are willing to pay. It is very important to determine approximate costs of each of the services along with the approximate amount the insurance will cost you so you can decide if that company is right for you. Another option is the IMSS, which is the health insurance offered by the Instituto Mexicano de Seguro Social (Mexican Institute of Social Security) through a complex network of hospitals and clinics operated by the federal government. It was designed to provide comprehensive health care to hard working families and emphasizes prevention. If you have FM-3 immigration documents you qualify to sign up. When you sign up you are interviewed by a doctor and you may or may not undergo a medical exam. The cost of signing up for this is under $500 USD per year. This system works like an HMO. You are initially signed to a family doctor who takes care of the basics. If you need a specialist your doctor takes you to one. If you need x-rays the doctor orders them for you. All diagnostic tests and medications are covered by the system. In this case though, it is up to the patient to take a dictionary or learn key words in Spanish, for while some doctors know English, most don’t speak it fluently. Keep a file or folder for all of your medical information, lab results, x-rays, prescriptions, etc. most doctors don’t maintain medical orders. Be sure to take the file with you to a consultation. Consultations are usually paid in cash (pesos) to the receptionists or directly to the doctor. If planning on being in Mazatlán for longer than a short vacation it is important that you make a simple plan to handle a medical emergency. Please note, if notified in advance a doctor can make arrangements via phone, fax, or email to contact your physician in Canada or the US. Feel free to visit some of the hospitals before you finalize your plan. The Cruz Roja has an excellent ambulance service available, staffed with trained paramedics. They respond to all emergency calls and will transport you to the nearest hospital. Several of the private hospitals also carry their own ambulance.